Mycarrick.ie – your Carrick on Shannon is here to inspire and provide you with very practical update tourist info -letting you know where to stay, where to eat, what to do and what’s on - everything you need to know about our refreshing yet invigorating town - plan your trip today! Our town is Ireland’s fastest growing inland resort and the perfect getaway destination for those coming from near or afar. Boasting an abundant offering of top class restaurants, accommodation, nightlife, visitor attractions and shopping, we will keep you and yours entertained for hours, days and weeks! We are a genuinely family friendly town with great deals available and oodles of fun to be had – see Family Breaks. A well known hot spot for group parties and breaks, Carrick on Shannon’s lively nightlife and action packed activities cater for all – see Group Getaways. Romantic escapes and long evening strolls are very popular here as the quaint ambience of the town encourages quality time together – see Couples Breaks. For those in their golden years, Carrick on Shannon offers rest and rejuvenation as well as the perfect setting to meet old friends or make new ones – see Active Age. 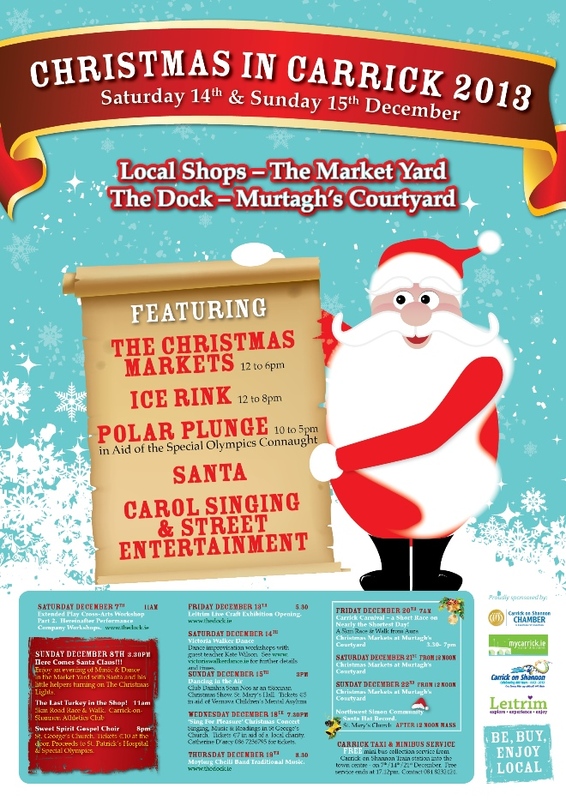 Like our page on Facebook for more information on Carrick on Shannon news and events https://www.facebook.com/mycarrick.ieyourCarrickonShannon. Planning a holiday for the family? Want information on packages available for a girl’s weekend? Post a comment with your questions and the My Carrick team will point you in the right direction! Fans could also be in with a chance to win some wonderful prizes in our regular Facebook competition spot. Mycarrick.ie – your ultimate guide to Carrick on Shannon!